There are lots of names for different non-alcoholic drinks. In Northern Wisconsin you order a "kiddie cocktail" and you get something sort of like a Shirley Temple (next week I'll put up a recipe for a real Shirley Temple). I'm going to start featuring a different non-alcoholic drink every Thursday; sometimes it'll be a review, sometimes a recipe, and today, the only video I have of making a drink at all. Now enjoy the ridiculous amount of vanilla sugar and a very long stirring time (and a small interruption by the fire dept) that is my cream soda video. There are some movies that are so sumptuous, so beautiful, so nearly tactile that every time I watch them it makes me want to make things. I'm not talking about movies that are just shot beautifully or have amazing editing or directing (if so, Lawrence of Arabia and Godfather would totally be on this list). Here's a list of movies that make me want to create beautiful projects, in no particular order. What are some movies that do that to you? 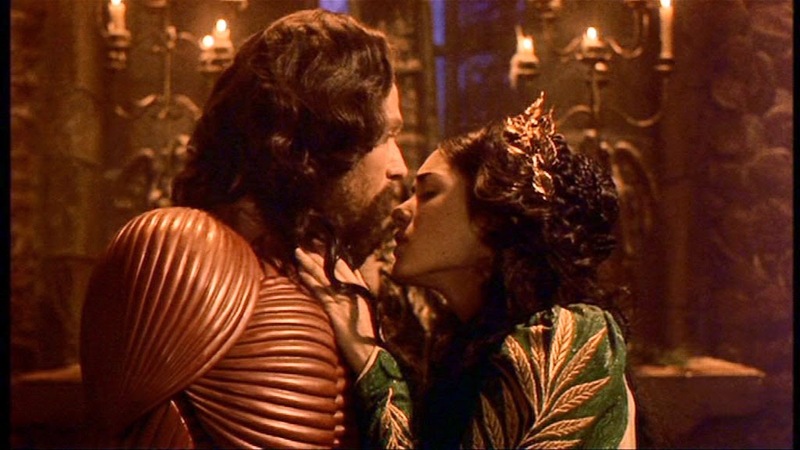 I love Eiko Ishioka's work, and in Dracula it's combined with amazing practical effects, that always make me want to create things that are totally unwieldy but absolutely sumptuous. The costumes, man, the costumes! Speaking of Eiko Ishioka, I reviewed The Fall when it first came out, and it's still just as wonderful and stunning and delightful as it was then. Every shot makes me want to create something colorful and wonderful and LOOK AT DARWIN'S COAT. I mean, come on. 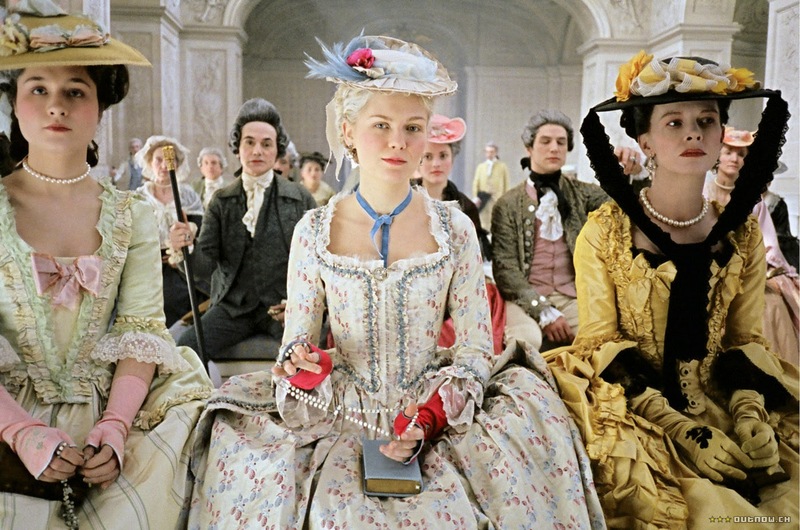 And speaking of Coppalas, Marie Antoinette makes me want to make things out of silk and embroidery and chocolate and raspberries and... everything. Seriously, I cannot watch this movie and not want to work on some ridiculous purse or random bit of something over the top. Or baking. Let them eat cake indeed. Segueing into movies that make me want to cook, this was the first. 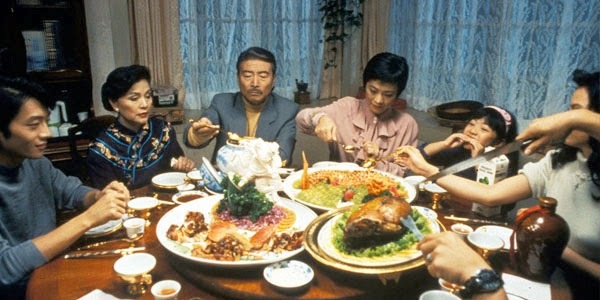 The cooking sequences in this movie have to be seen to be believed, and if you want to learn something about real Chinese cuisine you should definitely watch this. It almost hurts how good the food looks in this movie. Of course this gets a place on my list. Ratatouille shows you how pro kitchens operate, explains how flavors work together to make beautiful new things, and shows exactly how the creative process in the kitchen feels. I only wish I was nearly as good as Remy at plating. (I can make amazing tasting meals but I just don't have time to plate properly.) Regardless, this movie nails it. Perfection. Seriously, the man can do no wrong (and of course he's totally in with the Coppolas - you'll find them all over his movies). I have loved every single one of his films, and every one makes me want to make some piece of fashion or leatherworking. 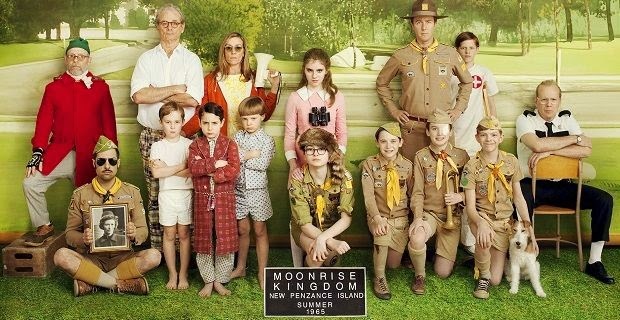 Thank you, Wes Anderson (and his production designers David Wasco, Nelson Lowry, Mark Friedberg and Adam Stackhausen). 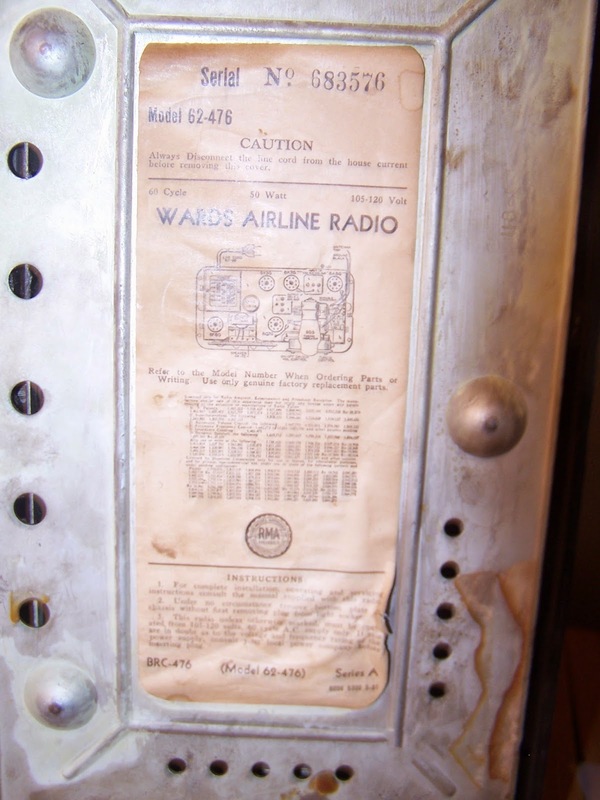 My dad recently procured for me a 1937 Wards Airline Radio, model 62-476. 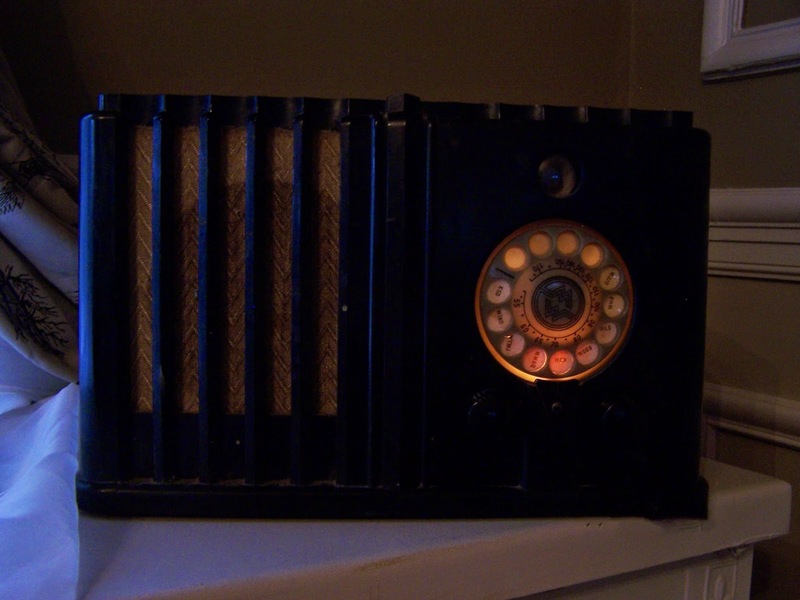 This particular radio has a Bakelite body with a nice art-deco-y look. It has also been sitting in someone's attic for *years*. ... WHAT. That's a full diagram of the parts inside? With part numbers for EVERYTHING? So it can be EASILY FIXED?!? WHAT IS THIS MAGIC. I wonder what will happen if I plug it in and turn it on. WHAT. Magic eye tube (green above the dial) isn't on, there's no antenna... but it's from 1937 and I can hear static. Just barely, but it's there! 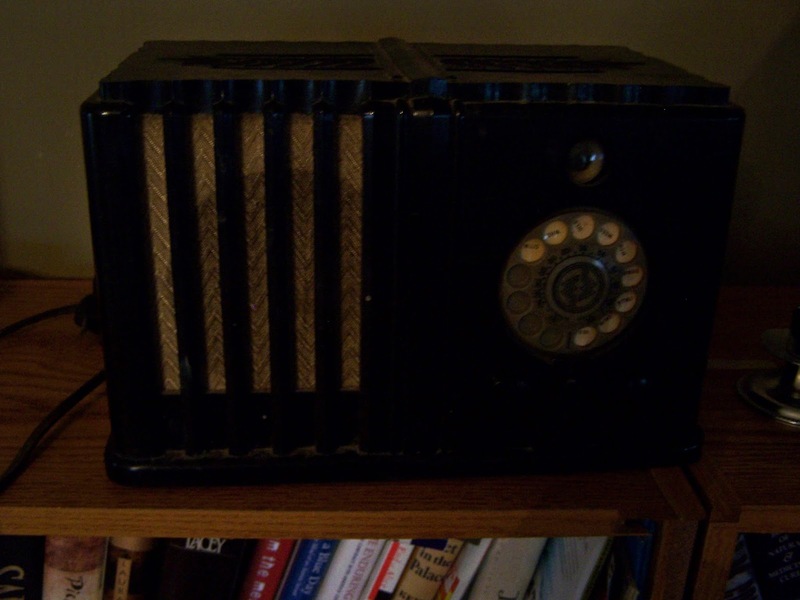 If I want I can try fixing it myself or take it to someone who knows something about old radios and they'll show me how. There's a friggin' parts list. And a diagram. Now, imagine it's 2091 and someone tries to get your iPhone to work. Or your Kindle. Or your TV. Or... well, fill in the blank. Laughable, right? We used to think of things so differently. 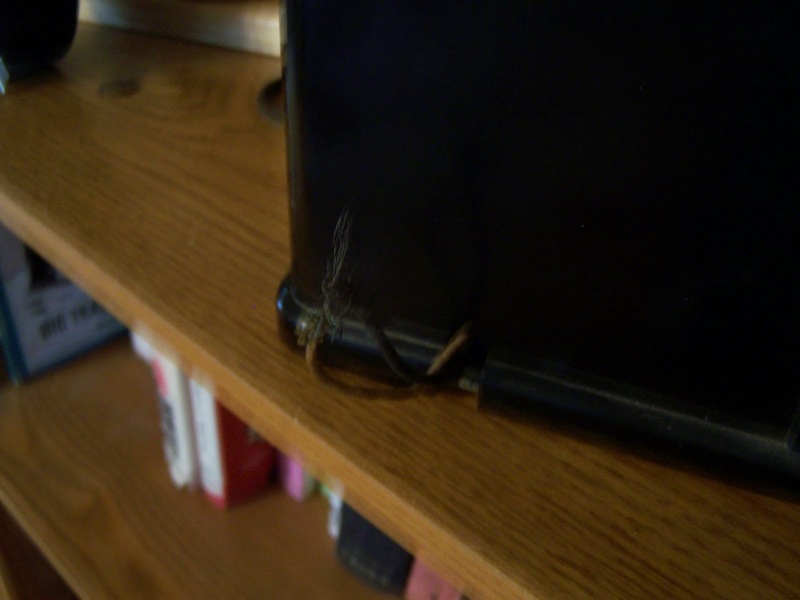 You didn't throw something out when it didn't work because it was cheaper to replace it; we fixed it. Even now it only *seems* cheaper to replace things because they are built somewhere where wages are much lower than here, with less strict environmental controls, and companies have learned to externalize every cost possible. Can you imagine a diagram of the parts of your Kindle? I'd be glad to pay more for technology/appliances/stuff that can be fixed or upgraded part by part rather than replace the whole; I just don't know if anyone is willing to make something like that anymore. There's still small engine repair, but all our small appliance repair shops seem to have disappeared. There are places that'll fix your PC (until it's totally obsolete in a few years), but forget about your iPhone, take it to Apple and get a new one. Can we bring design like this back? Can we bring back the small businesses needed to support this kind of design? Man, I'd love to see it. So I'm not that excited about the lamp currently in our front hall, and I wanted to steampunk it up. I decided a while ago to make a zepplin lamp. It'll be lit with LED bulbs.. so.. it is technically a LED Zepplin. I started with a three and a half foot dowel and many two foot lengths of 1/2" x 1/16" basswood. I glued and threaded the pieces together with brown fishing line (Power Pro!) to make ten 5 foot struts. I cut out end pieces from brass sheet and screwed them into the dowels, and then used machine screws and nuts to attach the struts to them. 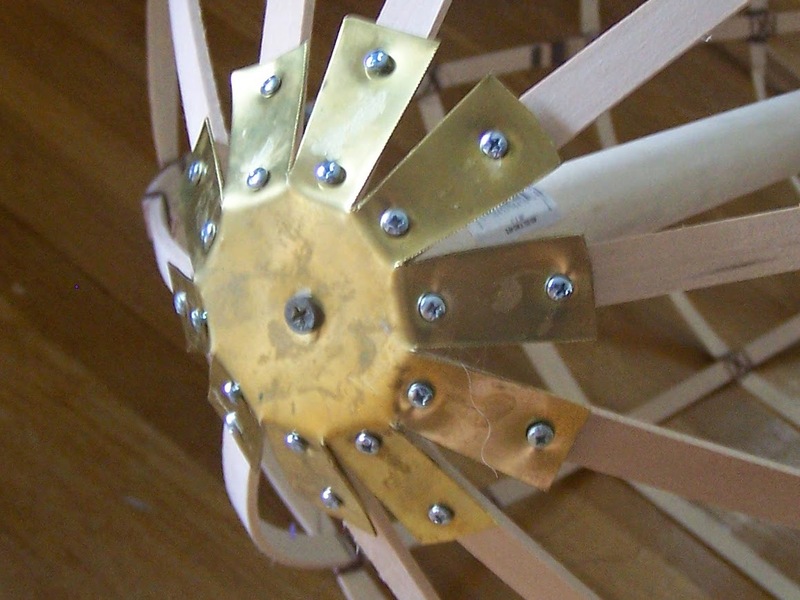 I also cut a propeller out of the brass and used a longer screw and some wooden spools to make it look pretty good. I used basket reed for the ribs, again gluing them and tying them with fishing line. This is where it's at right now, after adding the inital wiring for the lights inside. I'll hopefully update after this weekend with a much more complete LED Zepplin! I've designed quite a few logos over the years, but I can't say I've seen the rules about logo design put better than this. "Logo designs become iconic and memorable: they're not created that way." "Don't use more than two fonts"
"A logo design represents a business's professionalism and poor visual jokes don't work. Use fonts which sum up the 'brand mood'. " And, of course, a link to LogoThief, which is just brilliant. I think I'm tired of the word "sheeple." I hear it from those on every side of every issue, to deride those that disagree with them. The thought is that if someone disagrees, they must be being led by "things they were told," by sinister forces on the other side. Usually this is followed by a call to "do research and wake up!" 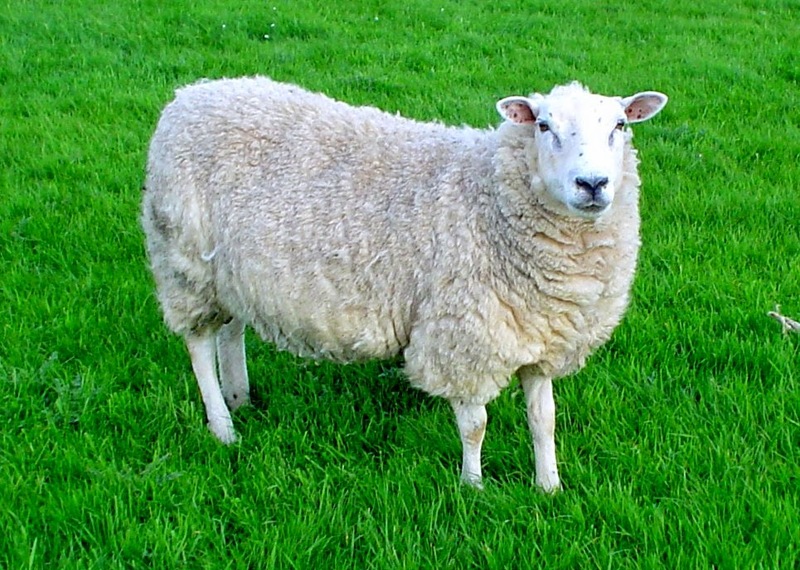 The problem I have with it is, many people who disagree *have* done some research, but sometimes they put inordinate weight on anecdote and unverified claims (and many times the person using the "sheeple" term is the one who has fallen victim to this.) It also instantly dismisses any opinion other than one's own, and makes me tune out because it makes me think you aren't amenable to discussion. Now, I'm just as vocal in my opinions as anyone else, and it is human nature to believe that everything you think is correct. For example, I can't think of an idea that I hold that is wrong, even though it is necessarily true that I am not right about everything. If you want to really analyze someone's argument, you should see if they (or you) are committing logical fallacies. I personally am vulnerable to the slippery slope argument in certain contexts, as well as the no true scotsman. In the end, don't worry about being a sheep, a guard dog, or even a wolf. Be a honey badger. Honey badger still don't care. I ran across this really great look at the design philosophies in Star Wars - specifically the Rebels vs the Empire. It makes a lot of great observations about utilitarian vs frivilous (fun). Really an excellent read.